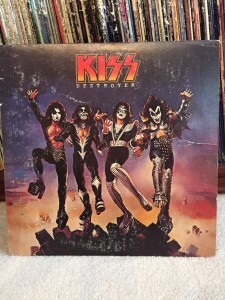 Continuing with (IMO) great and iconic album covers, I present to you Destroyer from “the hottest band in the land” KISS. 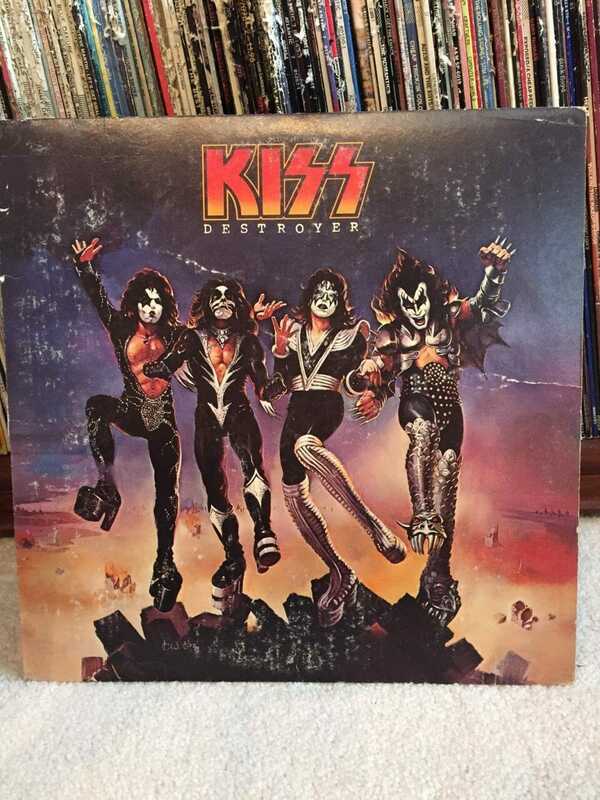 Destroyer came on the heels of their worldwide hit KISS ALIVE!, which was the biggest selling live album in history. Knowing that the follow up album to this had to be every bit as good, an artist was sought out to produce the album cover. Enter Ken Kelly. Born in 1946, Ken was always interested in art as a kid, but didn’t pursue it as a career until he left the Marines in 1968, after a four-year term. Back in New York he sought the guidance of fantasy artist Frank Frazetta, who took him on as an apprentice and helped guide his early work. In 1969, Ken landed a book cover project and has worked for every major publishing house since, including working on a series for fantasy writer Robert E. Howard. 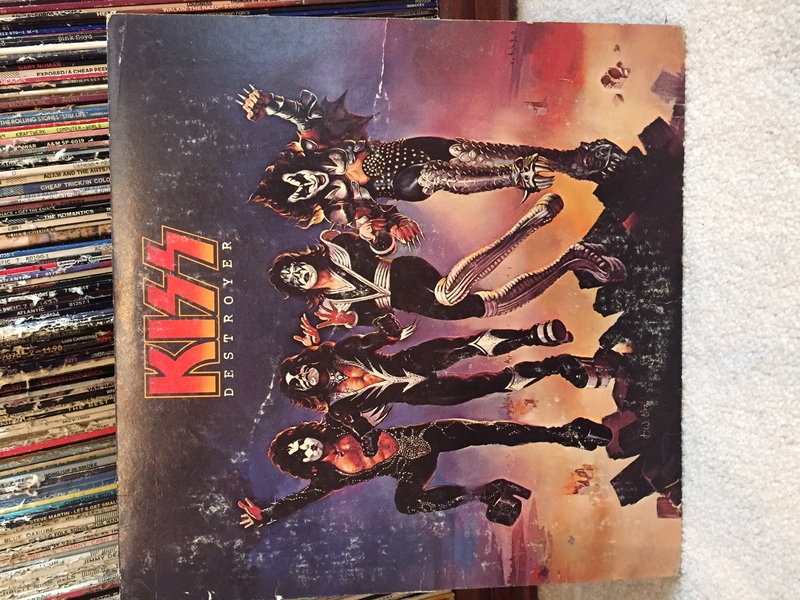 For the Destroyer cover, Ken was faced with a tight deadline and many revisions, one for the first cover version being “too violent”, (it was the mid-seventies). The second happened as he was almost finished and was asked to start over and paint the band in their new costumes. According to all involved, Ken was a professional and took these challenges in stride with no complaints. Growing up in the mid-seventies I can say that this was one of my first record purchases, and made me very popular at school, as the cover was so visually striking. Ken also painted a follow up album cover for KISS, Love Gun, which is very unique and identifiable in its own right. He continues to work today and his website can be found at www.kenkellyfantasyart.com.